University of New Brunswick's (UNB) Andrews Initiative presents “New Directions in Technology”, a dialogue with three researchers from UNB and St. Thomas University (STU). The panel discussion will take place Wednesday, Oct. 7 at 7:30 pm in the Wu Conference Centre at 6 Duffie Dr. The panel discussion is a part of the Andrews Initiative’s 2015 theme “Re-Imagining the Internet”. Speakers include Lucia O’Sullivan, UNB department of psychology; Kelly Bronson, STU department of science and technology studies; Nathan Thompson, a PhD candidate in UNB’s department of sociology. The three researchers will share their experiences, followed by a moderated question and answer period. This is a free, public event and everyone is invited to attend. An informal reception will follow. For more information, please contact Sarah King at 458-7106. The Andrews Initiative was created by UNB president emeritus John McLaughlin and launch in 2011. We offer quality learning opportunities in contemporary topics for the 21st century. 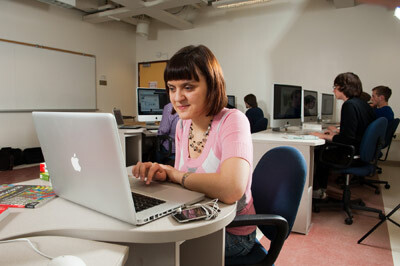 Dr. Lucia O’Sullivan’s research has examined the online lives and sexuality of teenagers and young adults. Recently, she has been using the Internet to facilitate research in a variety of ways, including: recruitment of participants, the use of diary and daily studies to gather information and social media to share findings broadly and engage in dialogue about her research. Dr. Kelly Bronson’s current research examines the use of big data in agricultural research. She studies the ethical and epistemological consequences that are often overlooked in the enthusiasm for new technologies. Her previous work on biotechnologies and new work on big data reveals the negative consequences of debating public policies and representing aspects of society through quantifiable data alone. Nathan Thompson is a PhD candidate in sociology and a part-time instructor at Renaissance College. His research examines the potential for new media to inspire social action and social change. Currently, he is using participatory action research with LGBTQ youth and young adults to create a videogame that responds to issues of marginalization. His past research projects have looked at the potential for social media to educate about social inequality and geo-social networking applications on smartphones and their relationship to gender.